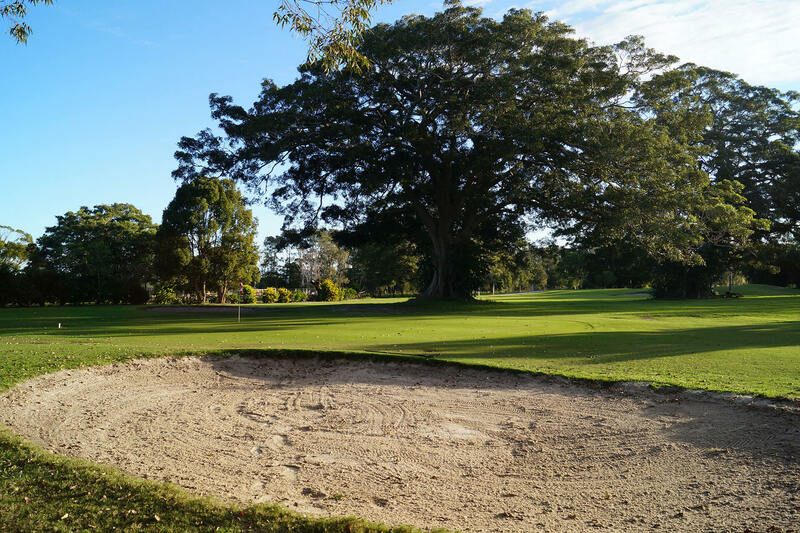 Chinderah Golf Course began life as a cane farm, over the years it has developed from a small driving range to a beautiful 18 hole golf course and driving range located in the Tweed Valley region. The course (measuring 3,373m) features 18 holes with 18 tees, hundreds of trees, shrubs & native plants providing a park-like golf links experience with 6 dams, 26 bunkers, mounds & swales, showcasing manicured fairways and contoured greens with tiff-dwarf grass featured in all greens in the summer and oversown with Poa Trivialis in the Winter. A social competition began in 1992 with local Senior players – men & ladies (over 50’s) playing on Monday mornings, this grew exponentially to take in Thursday mornings as well, with numbers of players increasing year on year. A new club-house was built in 1998 incorporating a pro shop, club repair area, motorised golf buggy storage, office space, replacing two shipping containers previously used as the pro-shop & repair area. 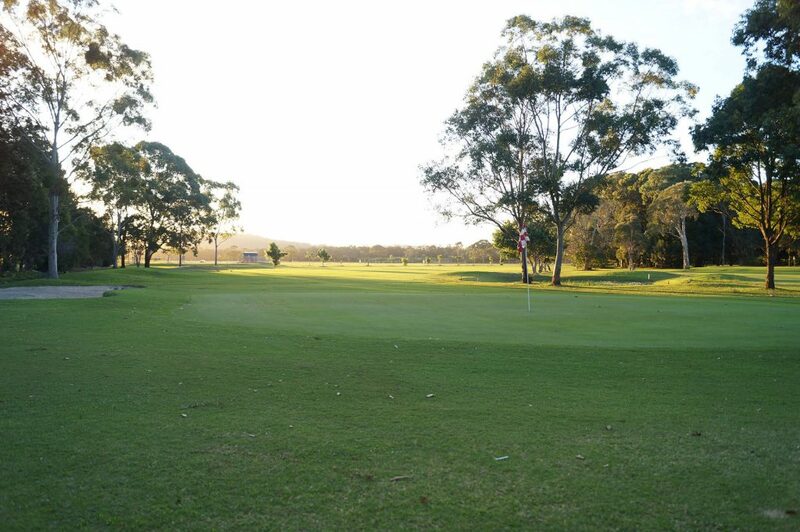 With the assistance of the Federal Government, Chinderah Golf Course became the first golf course in Australia to benefit from a scheme utilising town sewerage effluent (from Kingscliff & Chinderah) enabling us to fully water all fairways, greens and the driving range on the course. Following affiliation with Golf NSW in May 2018, Chinderah/Tweed Golfers now provides golfing events for members (aged 50 years & over) each Monday & Thursday morning in an official AGU competition. Visiting and holidaying golfers (with AGU or LGU handicaps and are over 50 years of age) are welcome to join in the competitions. Times commence at 5.25am and generally run to 10.30am each day during daylight saving time. The course par is 61 with a slope rating of 88. With a mix of challenging par 3’s and par 4’s, accurate drives and sharp iron shots are the keys to mastering the course. 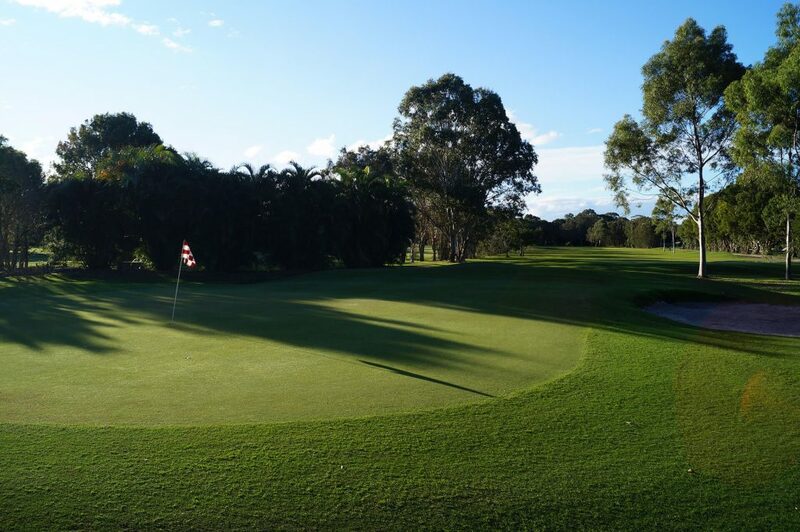 Chinderah Golf Course provides a keen challenge for accomplished players. The absence of hills makes It ideal (as a public golf course) for beginners and social players – the perfect place to learn and grow your golf game. 02 66740420 for further details or call at the club house for assistance.